EVGA has four GeForce GTX 1060 3GB in its arsenal. Split over two coolers - big and small - the range has both a standard and SC model. Keeping on the right side of £200 means considering the smaller card, but the underlying GPU is no worse off for it. Though small in stature, measuring just 173mm long, the SC Gaming card is just the right size for a GPU that sips on 120W at full tilt. It's very well put together, thus removing the need for an expense-inducing backplate, and the weighty cooler uses a copper insert that itself is pierced by two flattened heatpipes. There's no additional bling. no array of LED lights, or any fancy customisation that has marked out recent high-end cards, and we like the minimalist look. EVGA offers a zero-fan mode on this model - 03G-P4-6162-KR - that kicks in when the GPU is below 55°C or so. Not having an SLI connector ensures a clean side aesthetic. 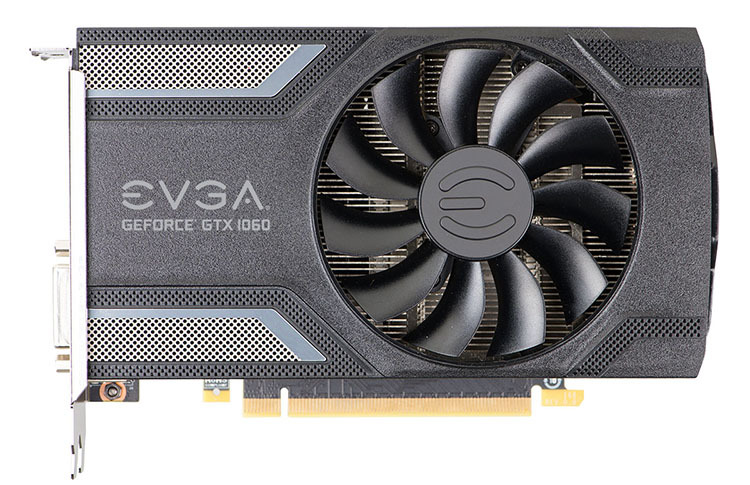 Thankfully, EVGA shows restraint and equips this card with a solitary six-pin connector. That's more than enough juice to cover the elevated clocks on this model, which chime in at 1,607MHz core and 1,835MHz boost, putting this diminutive card up against some of the best GTX 1060s going. You don't need to be big to be fast, clearly. Memory, meanwhile, is a standard 8GHz. The core frequency is a match for the larger, beefier SSC Gaming ACX 3.0 iteration and just a notch below the FTW+ model. 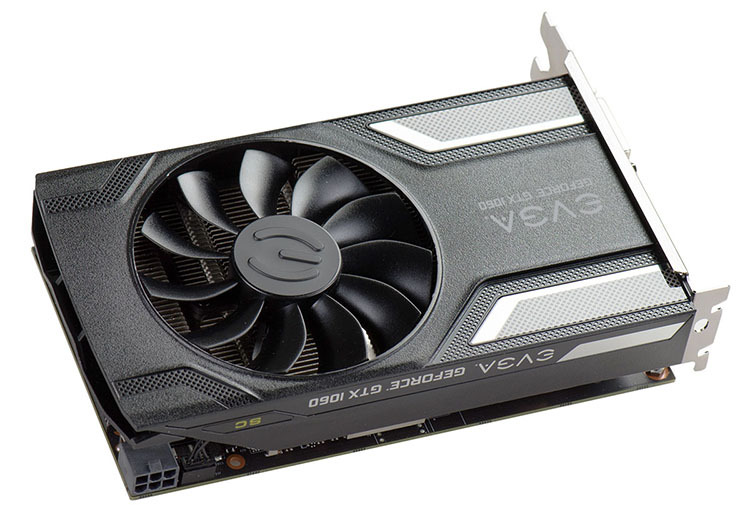 Good on EVGA to push this card to a solid core clock. Of course, it will benchmark slower than most GTX 1060s because it has fewer shaders - 1,152 vs. 1,280 - so we expect it to be that five-10 per cent slower than the 6GB variant that bears the same name yet costs £60 more. No need to change the outputs, either, so we have trio of DisplayPort, HDMI and dual-link DVI. A modicum of air escapes out of the back but more finds its way back into the chassis from the sides. Stripping away that weighty cooler shows how EVGA has constructed this pocket rocket. 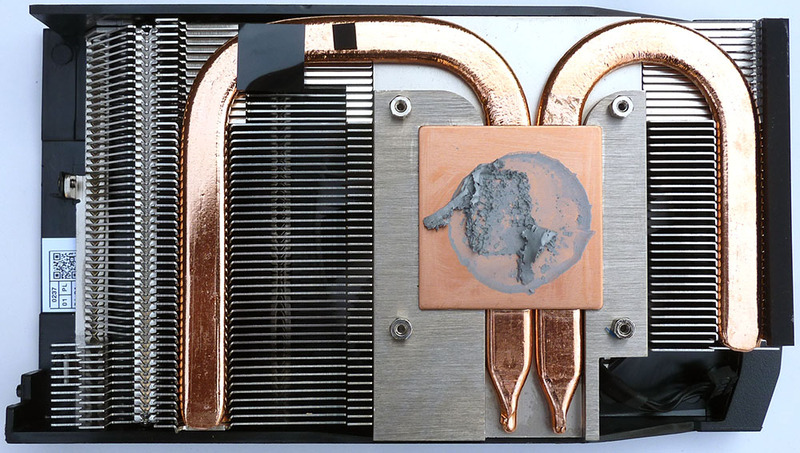 There's a healthy amount of thermal paste between cooler and GPU - perhaps too much - yet there's no direct connection to the 3GB of Samsung RAM chips. Costing £200 and backed up by a three-year warranty, let's see how it performs against some very stern competition at this price point.